Are there any special precautions to take when using this item in the oven? 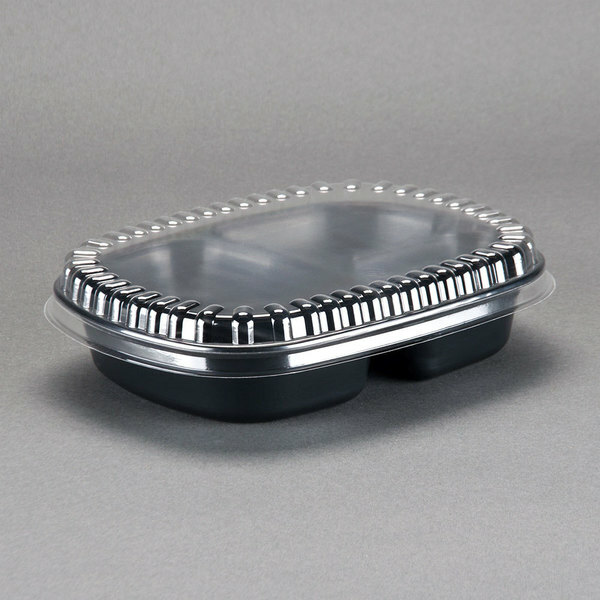 To prevent damage to this product or your oven, always place the pan on a cookie sheet, and place the cookie sheet on the middle rack of the oven. Do not place these pans too close to the heat source, or they may melt. Do not use lids in the oven with this pan, as they are not oven safe. 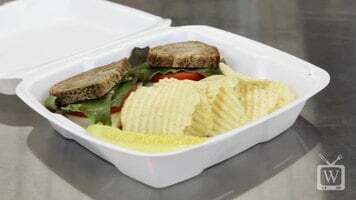 Deliver a wide range of food to customers conveniently and efficiently with this 16 oz. 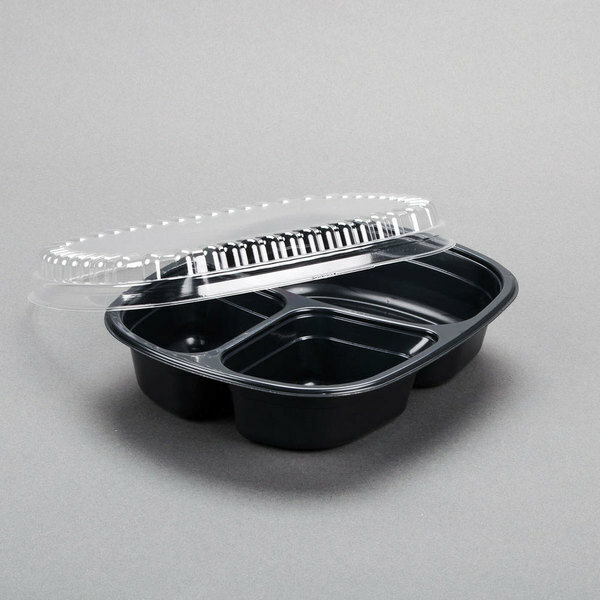 Genpak 55027 oven ready 3-compartment food pan. 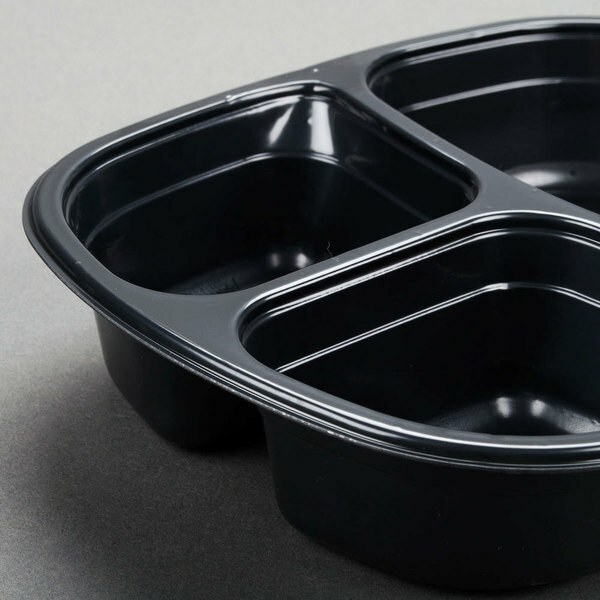 Designed to operate from "freezer to oven," this pan's high quality PET construction makes it suitable to bake, sell, and transport a wide variety of foods. 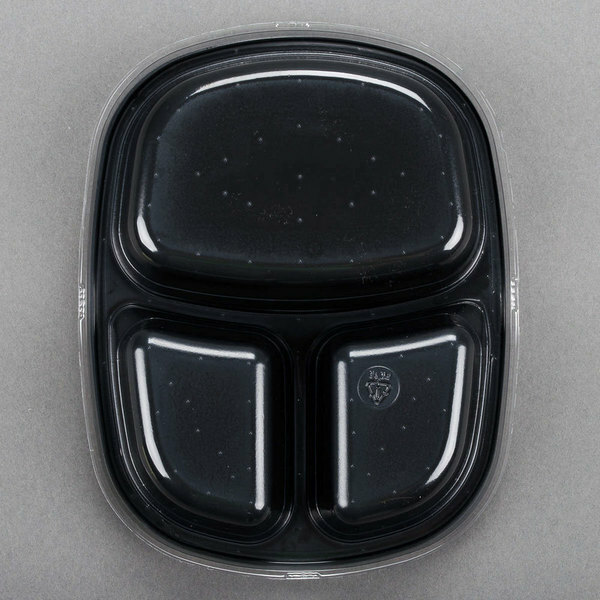 With three partitioned segments for convenient portion control, this pan is also well-suited for retail display purposes in grocery store delis, convenience stores, restaurant takeouts, and more. 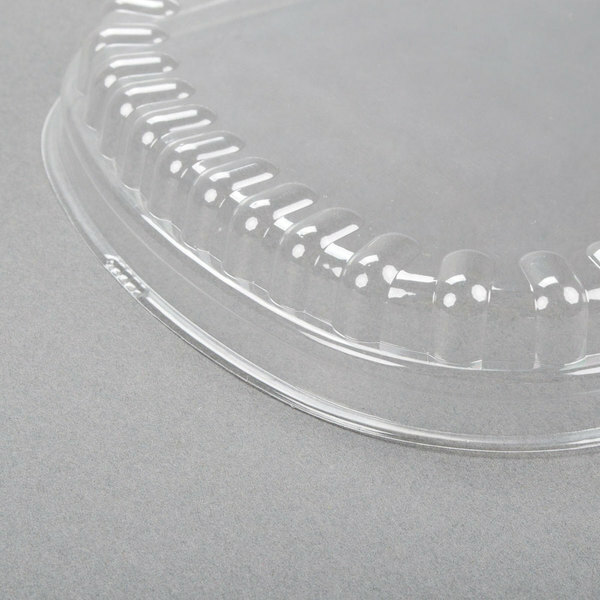 A thin layer of spray-on grease will allow for easy release in baking applications. 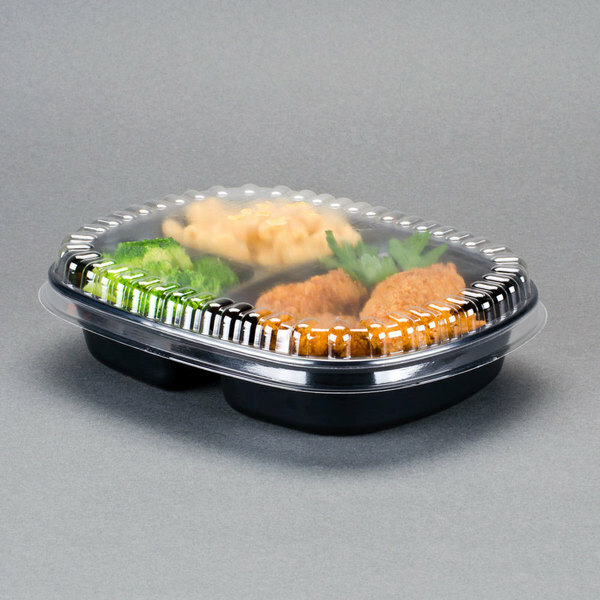 This pan can also stand up to automated packaging processes such as fill and seal lines, making it ideal for use with foodservice delivery programs. Pans are microwave, oven, and freezer safe from -15 to 400 degrees Fahrenheit; lids are freezer safe. 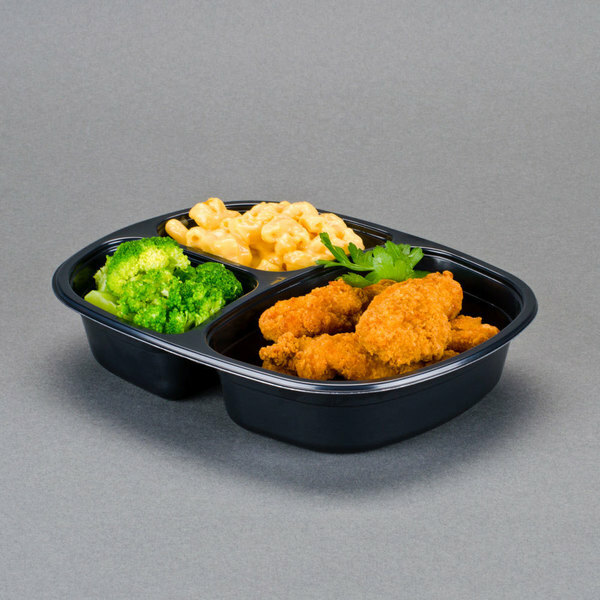 Super easy to meal prep using these and the 3 compartments hold everything you need. I recently made about 4 meals using these and could store, freeze, and, heat them all in the same container. Pretty nice. I bought these to make freezer meals for a friend on kidney dialysis who doesn't know how to cook. He needed something that he could just stick in the microwave, but that met his very strict dietary requirements. I cooked up a storm and then made him his own "TV dinners". I especially appreciated that these can go from freezer to microwave. My only disappointment (and the loss of a star) was that some of the lids were a little insecure and got knocked off in the freezer. I fixed that with a rubber band. No biggie. I meal prep for myself and my boyfriend and we love this product! Food is still fresh and delicious! I wouldn't use any other company. 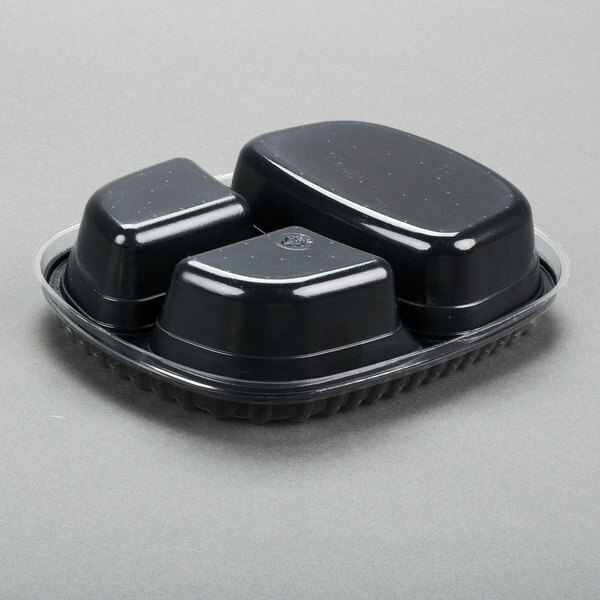 Love that these containers can go from the fridge to the oven without missing a beat. 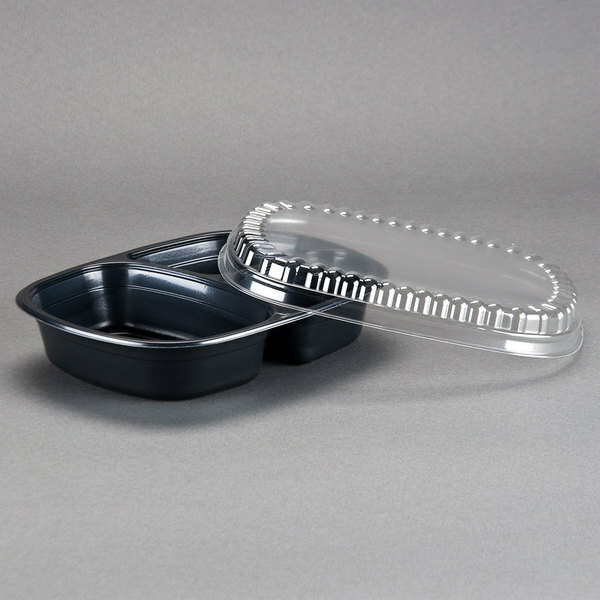 They would get 5 stars if the lids were more durable and sealed a bit tighter. I love that this has three compartments! It allows me to recreate my favorite childhood frozen meals, only by making them healthier and to meet my dietary restrictions. They are very sturdy. 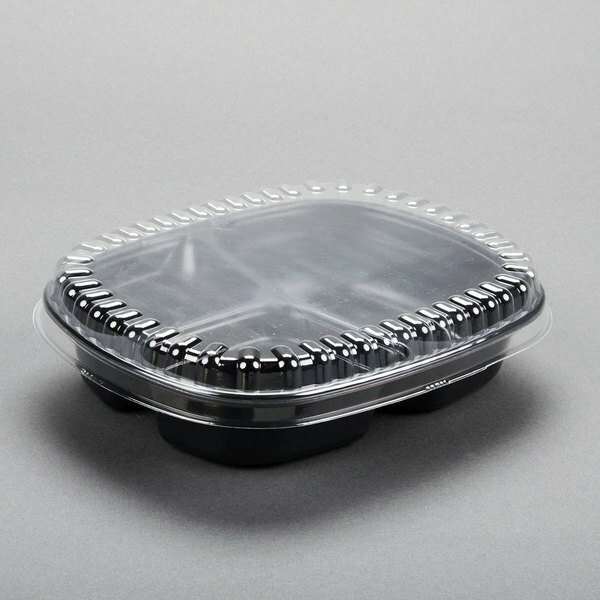 These food pans are of great quality. Sturdy. Covers fit perfectly and seals well avoiding any spillage. Perfect for foods with sauces. Definitely ordering more. 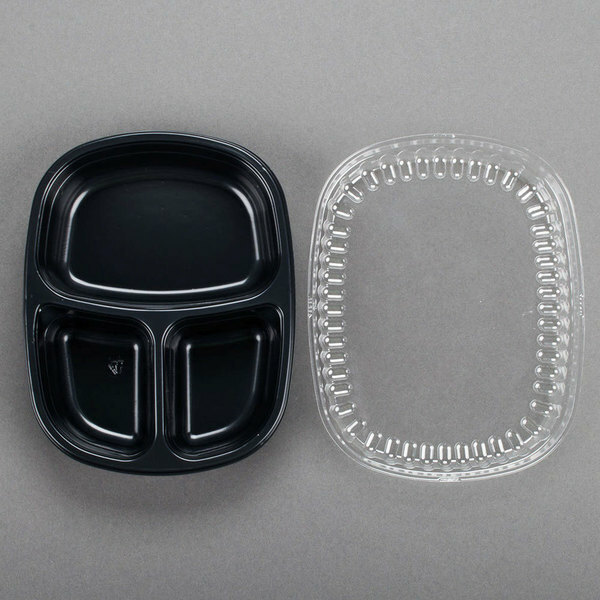 We used these compartment trays for bulk freezer cooking. We ordered 20 and we have enough meals for 2 weeks. It is an excellent way to save time and money for busy families.